On 27 March, Tim Koch briefly mentioned the results for this year’s Henley Boat Races (and provided a link with more details about the races). Cambridge’s women won the heavyweight race, and yesterday I came across a film clip from their training camp in France in January. 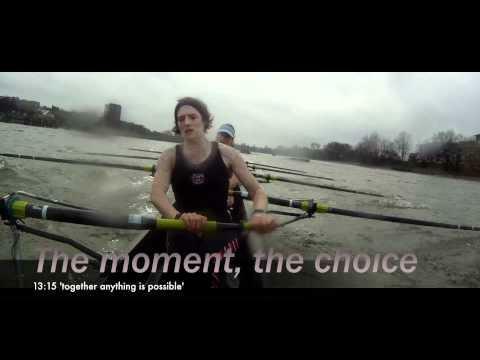 It’s a beautiful and funny video, shot by lightweight coach and professional photographer, James Appleton. Enjoy! 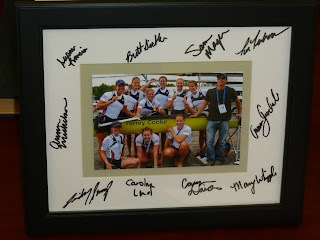 As mentioned on HTBS on 7 March, the Swede Lassi Karonen is the athlete of the month on FISA’s Worldrowing.com. Here follows part 2 of an interview posted on FISA’s website. Click here to read it. Tim Koch: Which ‘Boat Race’? When people talk of ‘The University Boat Race’ they are usually referring to the annual tussle between Oxford and Cambridge which began in 1829. There are, however, many other boat races between rival academic institutions. 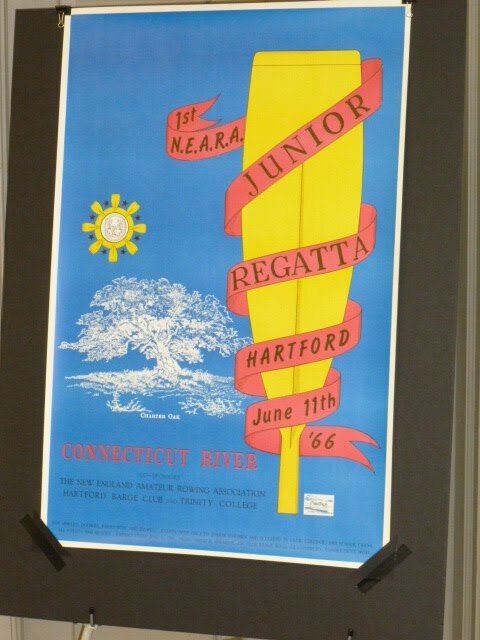 Second in seniority to the ‘Battle of the Blues’ is the Harvard–Yale Regatta (‘The Race’) which began in 1852. It is the oldest collegiate athletic competition in the United States (though, unlike its British counterpart, it nowadays has little popular following). The Edinburgh University v Glasgow University Boat Race was founded in 1877 and so is (almost certainly) the third in line. More recent times have seen the establishment of more of these private matches. In 1971 Manchester and Salford Universities set up the Two Cities Boat Race. Bristol University and the University of the West of England first raced each other in ‘The Varsity’ in 1995. The University of Durham and the University of Newcastle have run the Northumbrian University Boat Race since 1997. 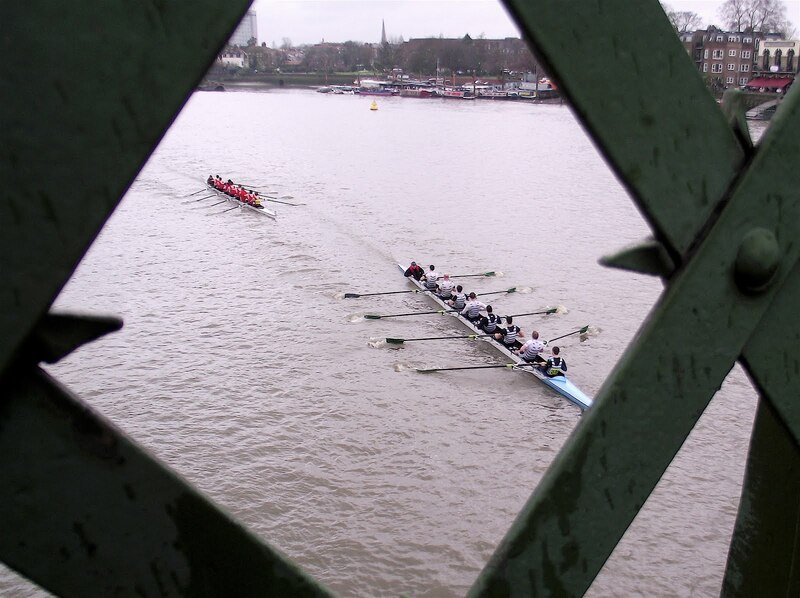 In 2006 Cardiff and Swansea Universities held the first Welsh Boat Race. 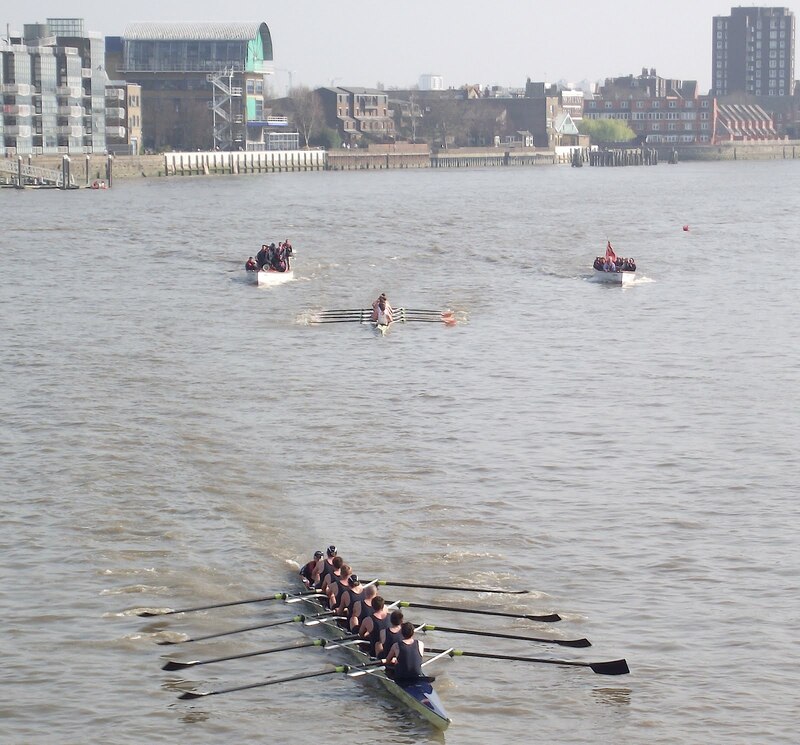 The latest contest is between the University of Greenwich, the University of Kent and Canterbury Christ Church University who have raced each other in the Universities at Medway Boat Race since 2007. Göran R Buckhorn: Already here I can add that the two oldest universities in Sweden, Uppsala University (founded in 1477) and Lund University (which tracks it roots back to 1425, but the current, ‘modern’ university was founded in 1666), annually race each other since 1992. 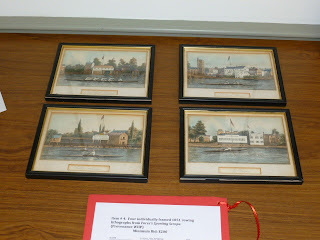 However, boat racing has been going on at both universities earlier than that. See also here. Reading Tim Koch's report from yesterday, Molesey BC gave Cambridge a good match last Sunday. 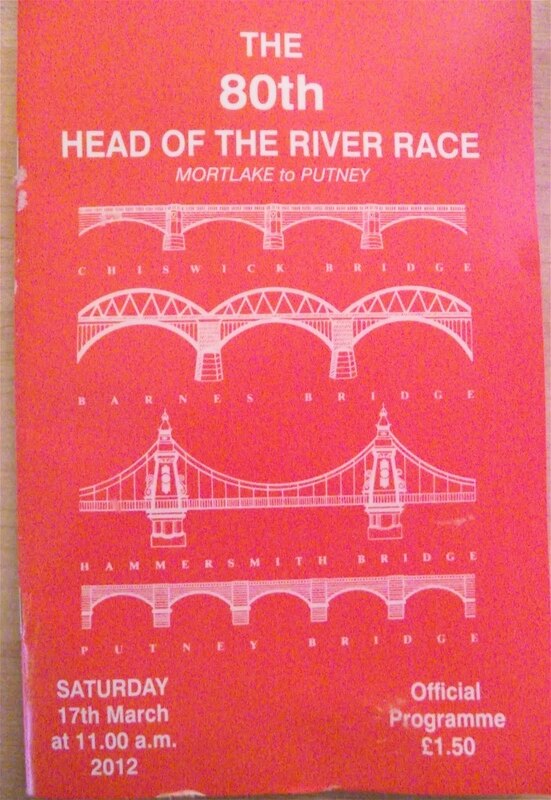 And Molesey did very well at the Head of the River Race where they came in third. 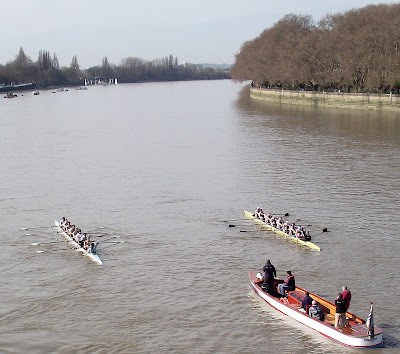 CUBC v. MBC from Putney Bridge. Death’). 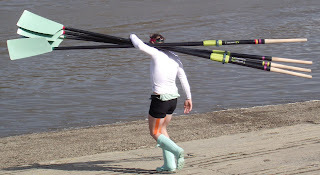 Peter McConnell’s race report is on the Boat Race website. 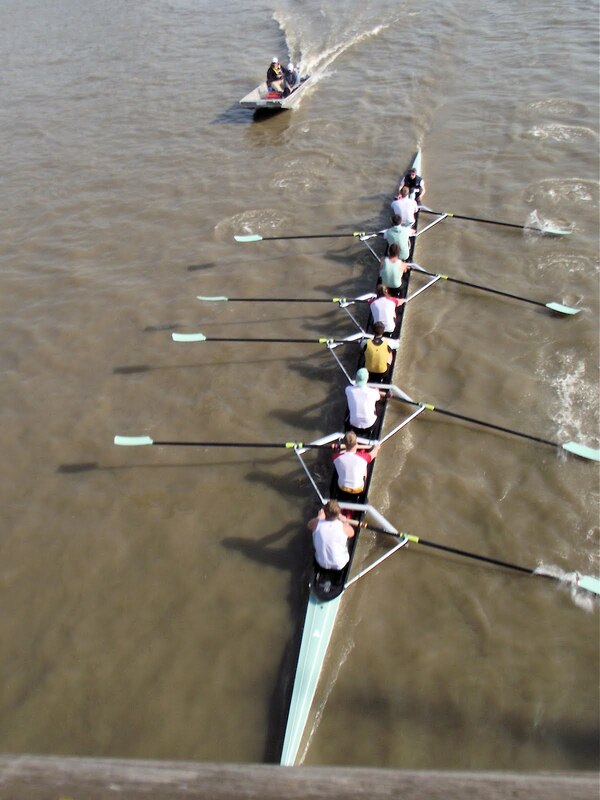 CUBC bow and 3 on stroke (port side), 2 and 4 on bow (starboard side). See more here. Cambridge had earlier been obstructed by a cruiser near the Bandstand. American Jack Lindeman, who once was struck by lightning. Blues won by greater margins on that occasion. How much significance can be read into this is debatable. Thirty miles away, the ‘Henley Boat Races’ were held on the same day. Women were victorious in their events. Details are here. 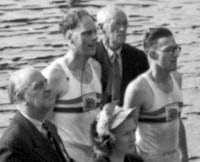 Ran Laurie and Jack Wilson: 1948 Olympic champions in the pair. 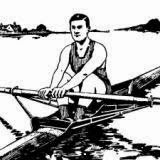 To get you – if you are a rower in England that is – in the right mood for the upcoming Olympic rowing this summer, the River and Rowing Museum in Henley-on-Thames will open a new exhibit on 31 March, “The Perfect Rower – 100 Years of Racing for Glory”, The Guardian reported the other day. 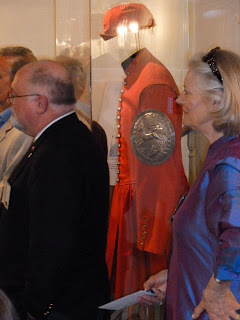 The exhibit, which will run until 30 September, 2012, will concentrate on the two previous Olympic rowing regattas held in Henley, in 1908 and 1948. There will be information and stories about former British rowing heroes, who raced at these two Games. At the 1908 Olympic regatta, all the gold medals went to Great Britain, so for sure there will be artefacts on display about for example Don Burnell and F.S. 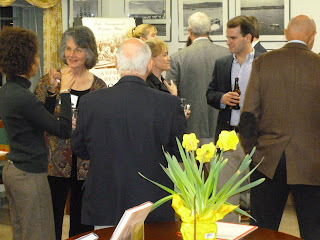 Kelly who rowed in the Leander crew called the ‘Old Crocks’. 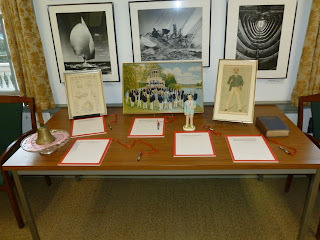 At the 1948 Games, Great Britain took two golds, in the double sculls and the coxless pair. 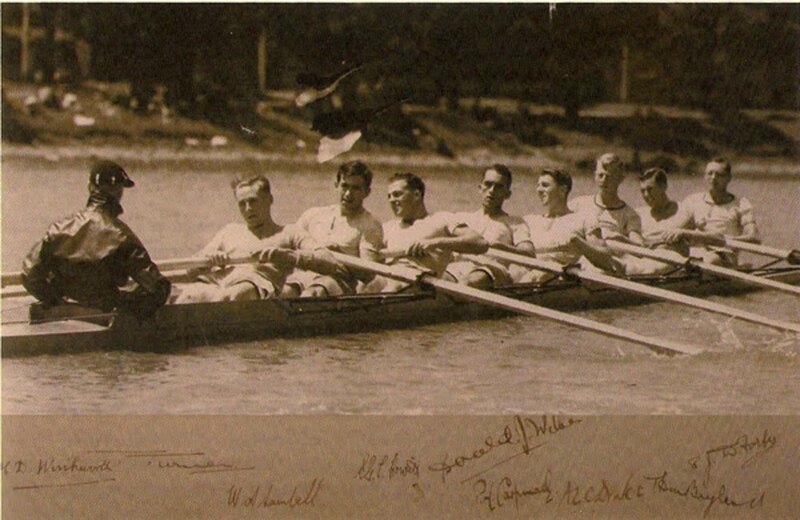 These two masterly Olympic championship crews, who HTBS has written about on several occasions, were Ran Laurie and Jack Wilson (the pair) and Dickie Burnell and Bert Bushnell (the double; picture on the left). 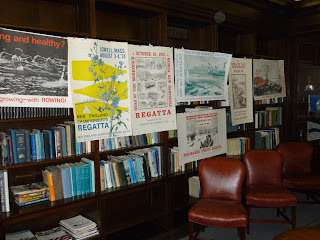 Rowing historian Chris Dodd, who has worked on the exhibition, is interviewed in the article in The Guardian. Read it here. 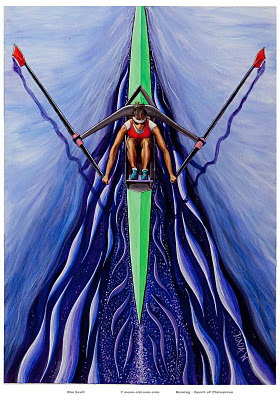 Then, between 26 May and 12 August this year, the River and Rowing Museum will also have an exhibit up and running about rowing artwork, “Oarsome – The Art of Rowing” by Tonia Williams, who HTBS wrote about in January, 2012. Tim Koch: A Significant Result? On Saturday 24 March the Oxford Blue Boat had its final race before the big day on 7 April. It took on an eight from the Leander development squad, racing from Putney to Chiswick Steps, and won by 20 seconds. 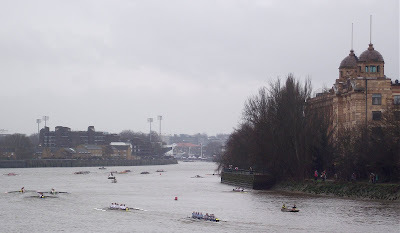 A full race report is on the official Boat Race site here. Interestingly, six of the LC crew were in a boat that raced Cambridge on the 10 March (race report here). On that occasion Leander also lost but the Light Blues had to work much harder than Oxford did to beat the boys from the Pink Palace. 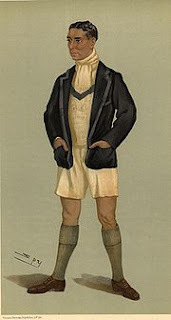 The Cambridge race was described as by Peter McConnell as ‘tightly fought’ while he called yesterday’s fixture ‘a mismatch with Oxford dominant from the moment umpire Richard Phelps dropped his flag’. Perhaps Leander just had a bad day, most of the crew were in the boat that came 16th in the Head of the River last week so they should not be slow. Alternatively, perhaps Oxford are very fast. We will find out in two weeks. 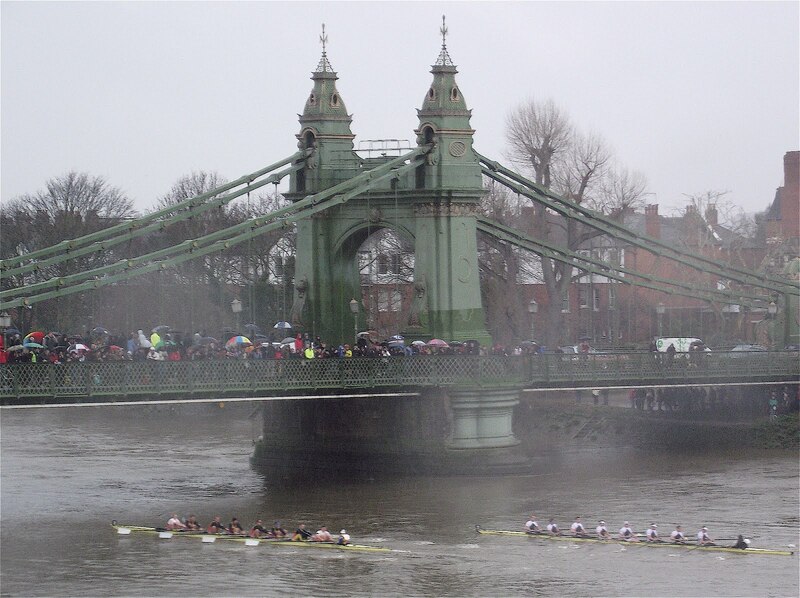 Oxford lead Leander comfortably at Hammersmith Bridge. 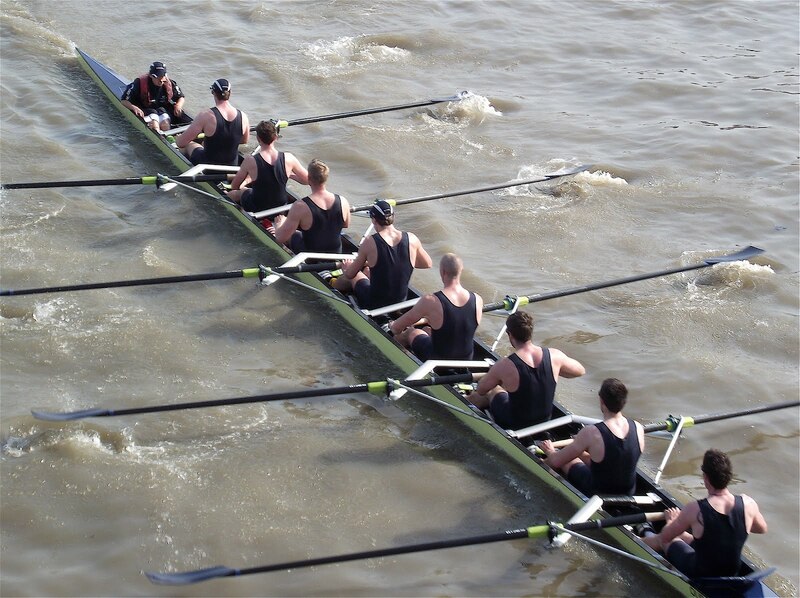 Isis (Oxford Reserve Heavyweight Men) raced Tideway Scullers and won by 2 1/2 lengths. Today, Sunday 25 March, Cambridge race Molesey Boat Club and Goldie (Cambridge Reserve Heavyweight Men) race Imperial College. As reported in February on HTBS, from 2015 the heavyweight women will be racing on the Tideway with the heavyweight men. This gives rise to an interesting conundrum for the girls over 59 kg / 130 lbs. The final decision on who goes in the ‘Blue Boat’ and who goes in the Reserve Boat is not made until a few weeks before the race. The problem with this is that the First Boat has to train for a 6.8 km race while the Second Boat has to train for a 2 km event. I suppose that initially everyone will train for the longer distance and when the reserve crew is chosen it will then adapt its practice for the shorter course. Sir Steve - 50 Years Today! Though the Daily Mirror is not HTBS's normal daily read, yesterday the tabloid had an interview with rowing celebrity Sir Steven Redgrave, due to his 50th birthday today, 23 March. 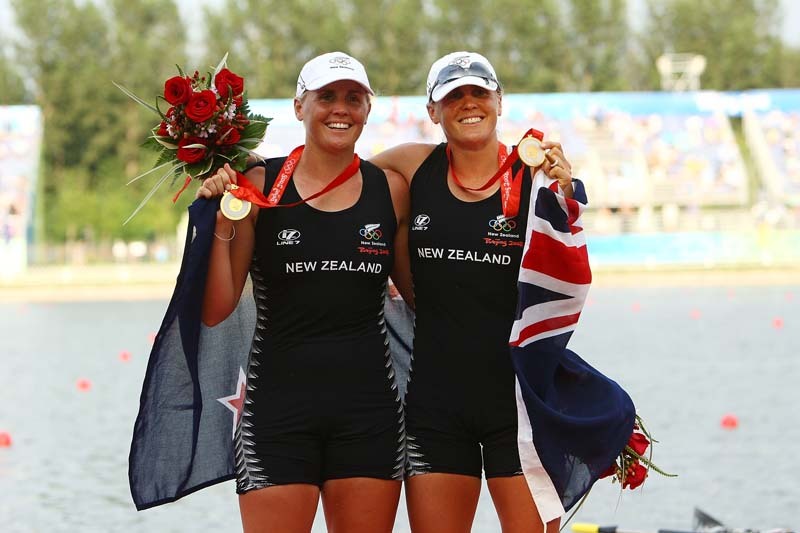 FISA has just announced the six finalists for the 2012 Thomas Keller Medal, the most distinguished award in the sport of rowing. The finalists are: Constanta Burcica (Romania), Vaclav Chalupa (Czech Republic), Caroline & Georgina Evers-Swindell (New Zealand; the twins are treated as one entity – see photograph above), Manuela Lutze (Germany), Vasileios Polymeros (Greece), and Bryan Volpenhein (United States). Read more about the finalists here. This year’s Thomas Keller Medal will be presented on 26 May 2012 at the 2012 Samsung World Rowing Cup in Lucerne, Switzerland. 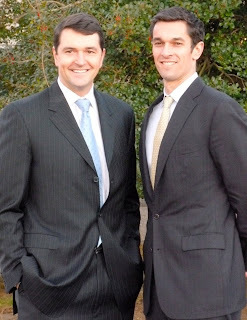 It will be presented by Dominik Keller, the son of FISA’s former president Thomas Keller, and Denis Oswald, president of FISA. The winner of the Thomas Keller Medal receives an 18-carat gold medal. 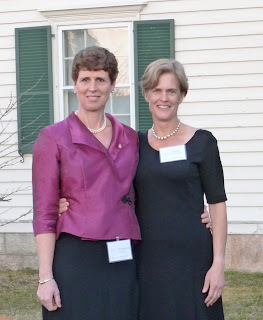 The Thomas Keller Medal is the highest distinction in the sport of rowing. 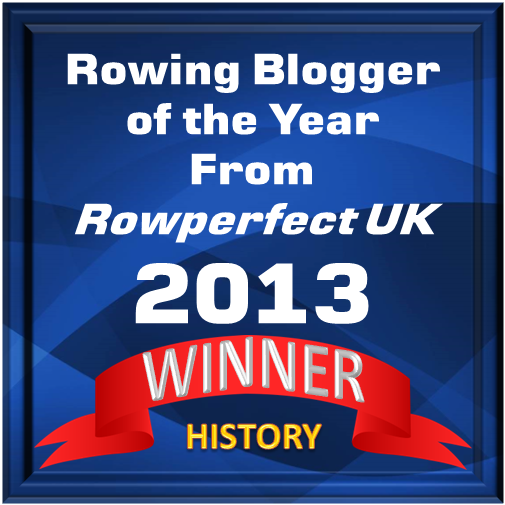 It is awarded to recognise an exceptional international rowing career as well as exemplary sportsmanship and legendary aspect. 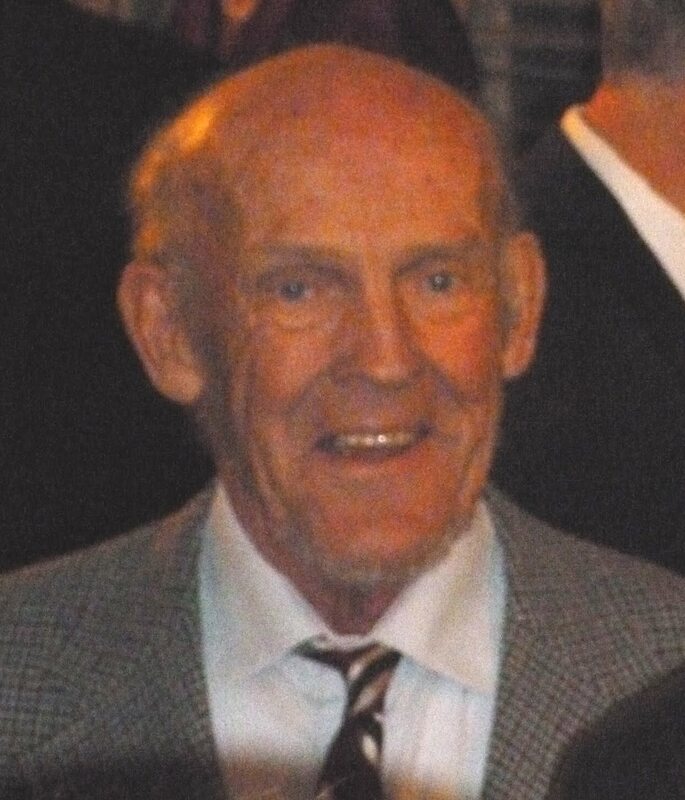 The award was named after the late President of FISA, Thomas Keller “Thomi”, who was born in 1924 and elected President of FISA in 1958, at the age of 34. He was then the youngest-ever president of an international sports federation. Following the 1988 Olympics, Thomi Keller spontaneously awarded the FISA Medal of Honour to Peter-Michael Kolbe and Pertti Karppinen to commemorate one of the greatest rivalries in the history of the sport and recognising their exceptional talent and sportsmanship. 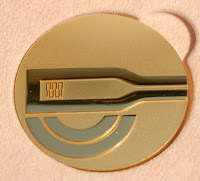 This shaped the idea of the Thomas Keller Medal which was initiated by the Keller family following Thomi’s passing in 1989 and was first awarded to the great Norwegian oarsman Alf Hansen in 1990. 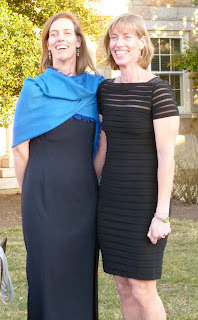 Each year, the winner is carefully selected by the Thomas Keller Medal committee, after a broad international nomination process, to ensure that the true values in which Thomi so strongly believed are represented in this award. 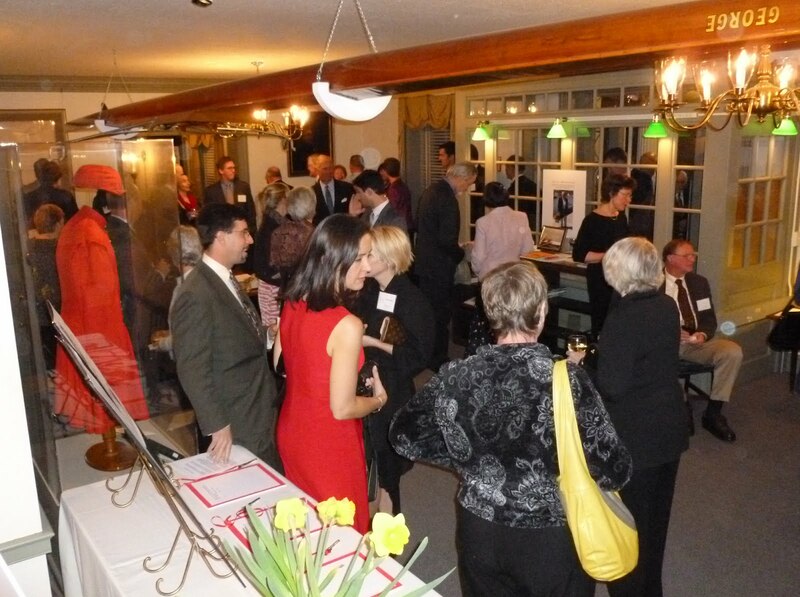 To view the full list of winners to date, please click here. His place in the universe. *For all non-American readers of HTBS, and for those of us who know nothing about ‘American football’, Philip leaves the following comment: “I couldn’t resist some fun. Manning, Brees, Rivers, and Ponder are all professional football quarterbacks. May my poem help keep their game afloat.” The image is added by HTBS editor: some cheerleaders showing good leg-work at a football game. 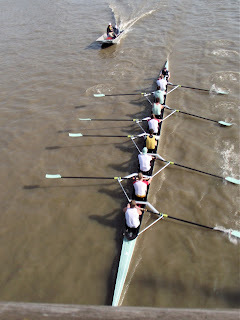 The Czech Rowing Federation on the left overtake Molesey at Hammersmith Bridge. When this event was founded in 1926 it was the first processional boat race of its type and so the organisers have never felt it necessary to add ‘men’s’ or ‘eights’ to its title. 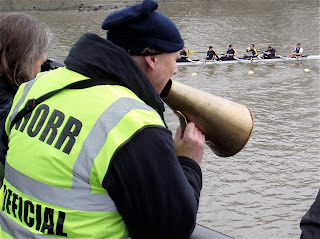 A potted history of the HoRR is given in my report on the 2011 race. 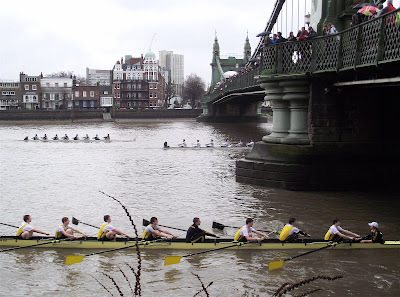 Hammersmith Bridge: any half decent crew can race the 12 minutes to here. But after this point it starts to hurt. This year saw 404 entries with the usual good turnout from Germany (29 crews), Switzerland (12), and Spain (6). 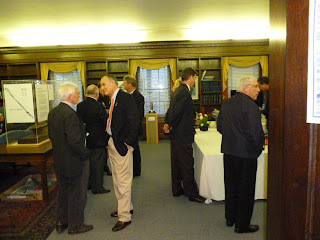 There were single representatives from Austria, Hungary, Russia, Ireland, Italy, Sweden, The Netherlands, and France. The Czech Rowing Federation (No. 3) won in a time of 17 minutes 34 seconds with Leander I (No. 1) second place (17m 56s), and Molesey I (No. 2) third place (18m 01s). The only other non British crews to win the Head of the River Race were RV Münster von 1882 (Germany) in 1993 and 1994 and The Netherlands Rowing Federation in 1995. The course record still stands at 16m 37s, set by the British National Squad in 1987. Professor Boris Rankov, six times Oxford-Cambridge Boat Race winner, marshals from Hammersmith Bridge. His electronic megaphone gave out so he fell back on using something much more appropriate to a professor of ancient history. Hammersmith Bridge: for some the race is over, for others it is only 60% done. Round the Harrods Bend before the long, hard straight to Putney. 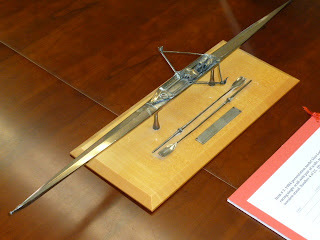 The Fairbairn Trophy for the crew that goes 'Head'. Debenhams, the old department store that was founded in London in 1778, is launching a new clothing collection this spring, the Daily Telegraph wrote in yesterday’s paper. Debenhams, which now seems to have stores all over the place, asked members of Thames Rowing Clubs to introduce this nautical collection called Nautica. I really hope that Thames RC and its members are making a couple of quid out of this deal. And to be honest, the article in the Telegraph is more about the Tideway club than the clothes. Members of the club are interviewed and talked about, amongst them, the great Olympic champion and medallist Jack Beresford. However, I cannot help thinking that if Debenhams knew a little more about rowing history and the company’s own history, they might have picked another rowing club in London to help them launch new clothes in an Olympic year (please, members of Thames RC, don’t take it personally…). 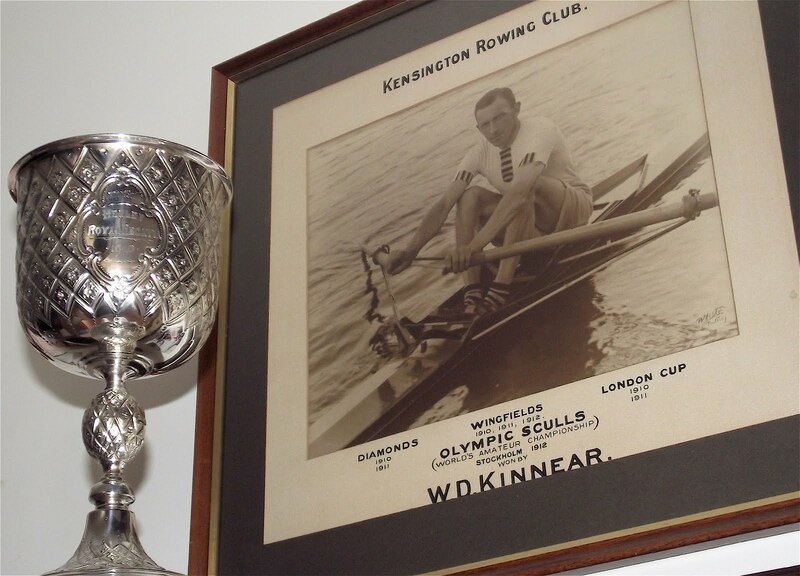 Because if the department store had picked Auriol Kensington Rowing Club by Hammersmith Bridge, they could have made a big hullabaloo about one the club’s finest oarsmen and stars: William ‘Wally’ Kinnear, who took an Olympic gold medal in the single sculls 100 years ago, at the Stockholm Games, and was working for…. yes, correct: Debenhams! There are many testimonies about Harcourt ‘Tarka’ Gold’s accomplishments as an oarsman, coach, Henley Steward, Chairman of the ARA, and sportsman in general. 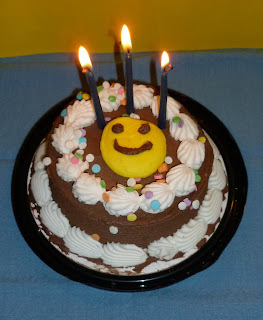 This little piece will celebrate him as a pamphleteer as it is 92 years ago this month his 20-page pamphlet The Common Sense of Coaching was published. The only person exempted from taking part in this experiment was the crew’s president, the “pre-war oarsman” Ewart Horsfall, who had rowed for Oxford’s winning boats in 1912 and 1913, and the losing one in 1914. Horsfall also won an Olympic gold medal in the eights at Stockholm (and would take a silver in the eights at the 1920 Amsterdam Games). 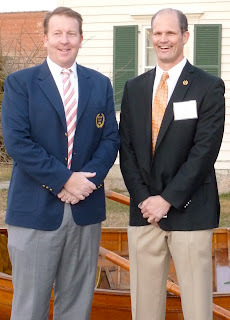 The second part, Gold wrote primarily for the coaches of the College Boat Clubs at Oxford as they were believed to have little previous coaching experience. Gold states that it is hard to explain “rhythm” to novice rowers, but writes that “Dr. 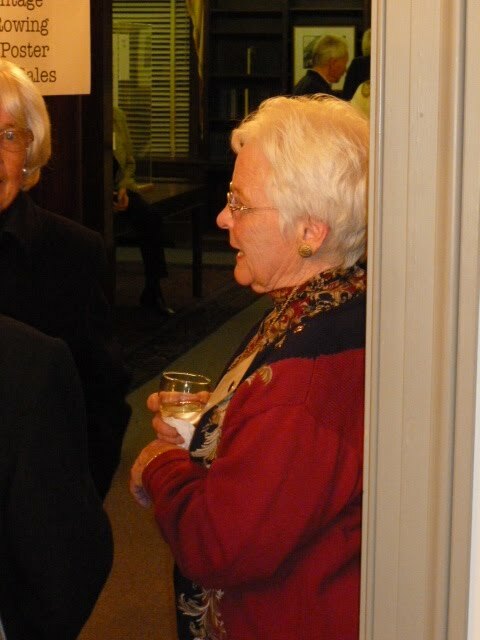 Warre once gave me the delightful description of rhythm as ‘the song of the stroke’”. 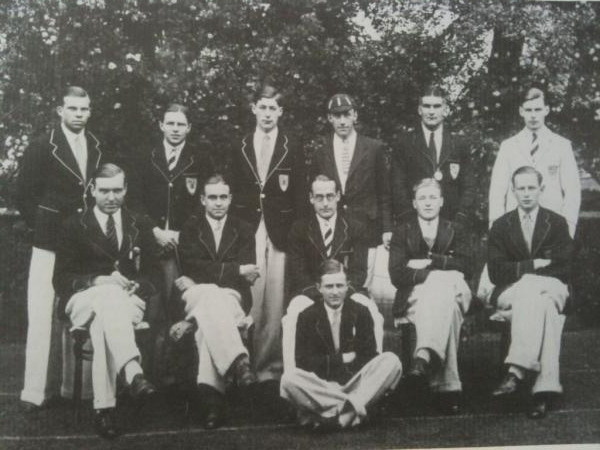 Coming from Warre’s Eton and rowing at Oxford meant that Gold’s teaching was based on the orthodox style. After Bruce had coached Cambridge for the Peace Regatta, he dictated some notes which was published first in 1936 as a 24-page pamphlet, Rowing – Notes on Coaching. Both Gold’s and Bruce’s pamphlets are impossible to get hold of today. Time to re-publish them? Following on from Tim Koch’s enquiry on 12 March and Göran Buckhorn’s follow-up on 13 March, I have found some information on Dermot St. John Gogarty’s involvement with Dublin University Boat Club (Trinity College, Dublin). In the late 1920s Trinity adopted Steve Fairbairn’s methods and found them to their liking. To implement the new style they needed a coach who was fully conversant with these methods and Dermot St. John Gogarty fitted this requirement perfectly. Gogarty first appeared at Islandbridge in 1933 and was an immediate success as Trinity’s senior coach. They retained the Irish Senior Eight Championship in 1933 having earlier won the University Grand Challenge Cup at Trinity Regatta. In the final of the ‘Grand’, they beat their alumni club, Lady Elizabeth Boat Club, a crew stroked by Gogarty. Gogarty also kept his hand in by sculling for Lady Elizabeth and won The Emerald (senior) sculls at Trinity Regatta in 1933 and 1934. According to Raymond Blake in his wonderful book In Black & White, A History of Rowing at Trinity College, Dublin: “All this was only a sideshow compared to the serious preparation that was being undertaken for Henley”. Gogarty was obsessed with winning the Ladies’ Plate and drawing on the experience of previous years Trinity only entered one event at Henley in 1934 and that, of course, was the Ladies’ Plate. 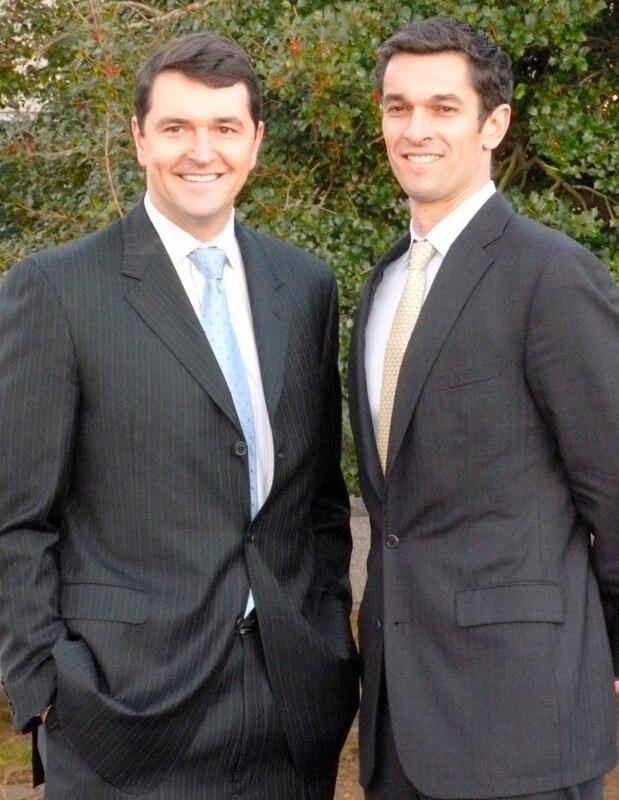 They had earlier finished fourth in the Head of the River in London and won the senior eight at Boyne, Cork, and Limerick as well as at their home regatta. 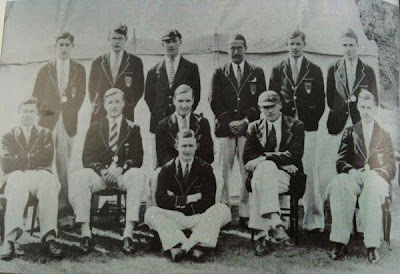 The Henley adventure took a lot out of the Trinity crew and they were beaten in a heat of the 1934 Irish championship. However the foundation for an amazing sequence of results in the event was now in place and between 1935 and 1946 Trinity won ten out of twelve Irish senior eight championships. It would seem that Gogarty was coaching at Trinity College, Dublin, University College, Dublin, and the London Rowing Club at the same time as well as sculling and stroking the ‘Lizzy’ eight. Architecture was certainly a lucrative and forgiving career in the 1930s! After his time with DUBC, he coached in Galway where he moved to in 1948. Thames Rowing Club go Head of the River on the 3rd March 2012 at 11am. Going off 12 on a neap tide they weaved their way through to win in 20.11 minutes. A suicidal push into a brutal head wind after Hammersmith Bridge won them the race. Listen to the powerful calls from Hannah and watch the crew find their soul. It is the first non-composite win for Thames since 2001 and their 17th since 1930. Well-done from bow Carrie, Sarah, Sophie, Charley, Catherine, Barbara, Emma and stoke Sophie. Respect. Cut down to seven minutes the video shows a great crew in action (many men's boats would like to be as fast), some fine coxing and an unusual view of the famous 'Championship Course'. Enjoy the video here. The London RC’s eight competing on the Yarra River, Melbourne, in 1934. 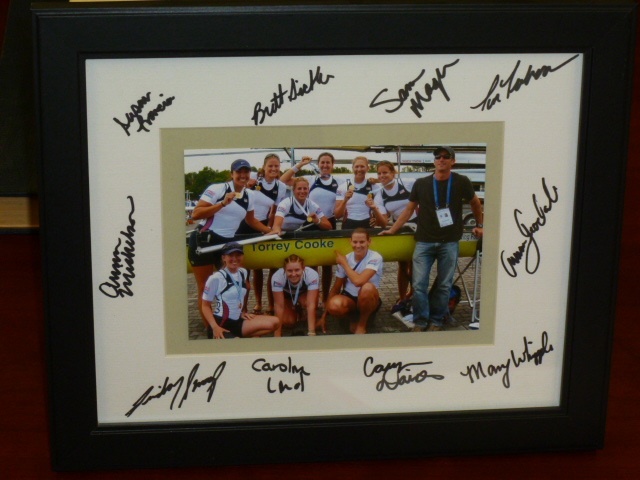 The crew, who was racing in the Grand Challenge Cup in the Australian Henley, had Dermot St John Gogarty as coach. Gogarty also raced on the Yarra, but when he was in the lead, his shell sunk. The photograph is from Chris Dodd’s book about the London RC, Water Boiling Aft. 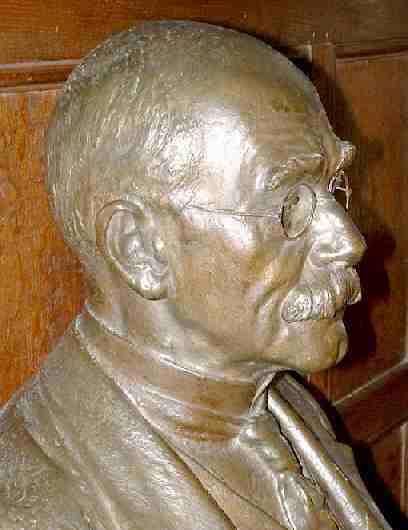 In yesterday’s entry on HTBS, Tim Koch wrote about Dermot St John Gogarty’s homage to Rudyard Kipling and his poem “If”. Tim asks for more information about Gogarty. In a comment the same day, Greg Denieffe gives some information about Gogarty. 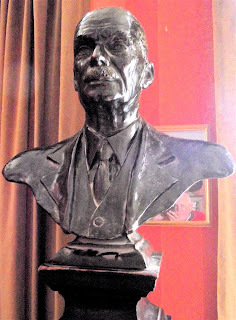 Greg replied that Gogarty was “born in 1908, […] the second son of Oliver St. John Gogarty, the Irish poet, author & Senator (Wikipedia has a good entry on him). Dermot was a well known architect who went to Pembroke College, Cambridge and was a rowing coach at University College, Dublin. He coached their maiden eight in 1933 to wins at Bann and Derry.” Greg also writes that it would be nice with some more information on his rowing connections at Pembroke and UCD. I am happy to report that I have found some additional information about Dermot St John Gogarty and his rowing and coaching career. After leaving Pembroke College, Gogarty joined the London Rowing Club and rowed in two Grand races in 1931 and 1932, winning the Cup in 1931. In Chris Dodd’s eminent Water Boiling Aft: London Rowing Club The First 150 Years, 1856-2006 (2006) it states that “The 1930s was a golden age for London at Henley, and a decade marked by expeditions to Paris, Copenhagen, Denmark, Portugal and Australia.” In 1934, for the centenary regatta of Henley-on-Yarra, Melbourne, London RC received an invitation and decided to go. With Gogarty as coach, seven oarsmen plus the cox boarded the Ormonde which set sail for Australia. The eighth oarsman, Donald Wilson, an Australian, was already in Australia and was ordered to get fit. “Take four Loyalists, add four Republicans, and you will have the ideal rowing eight. 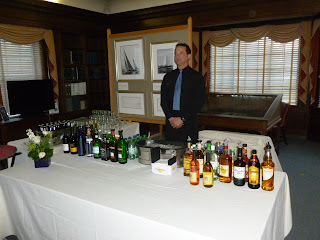 Mr. Dermot St. John Gogarty, coach of the London Rowing Club, comes from Dublin, and the “recipe” is his. “You put the Loyalists on one side of the boat, the Republicans on the other, and the result is a tough crew,” he explains. 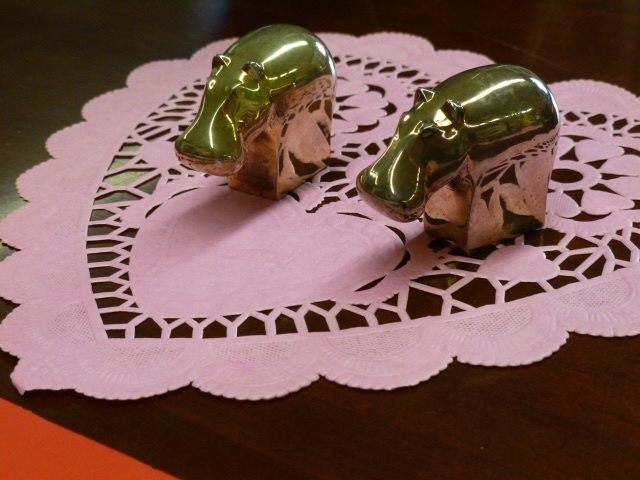 It is not so easy to select an English eight. Mr. Gogarth did some hard thinking on the way out to Australia. One day – it was in the Indian Ocean – he had an inspiration. It dawned upon him that he had two Australians in the crew. By seating them on one side of the boat it was easy to fix the rest of the crew. 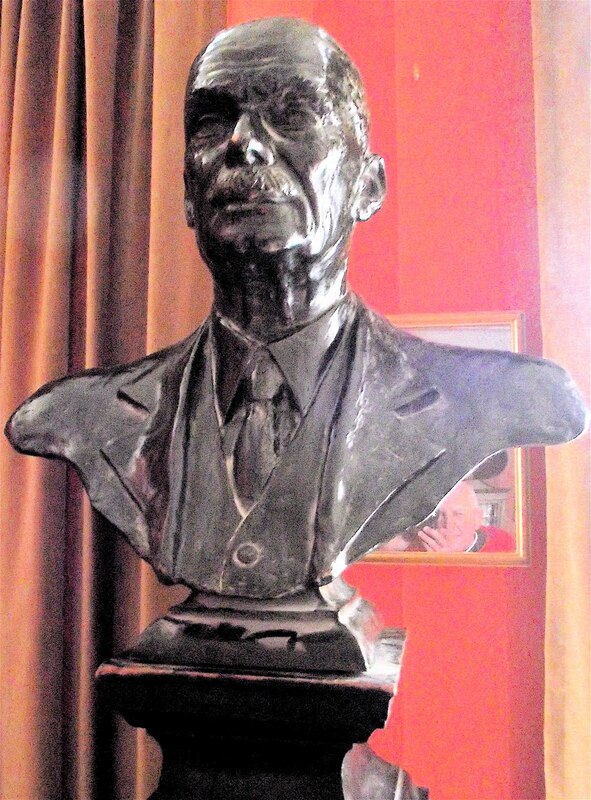 “Gogarty entered Pembroke College, Cambridge, in 1927, and obtained a diploma in architecture four years later. He did a great deal of rowing, and although selected in trail crews for Cambridge, he never obtained a seat. As a member of the London club, he rowed in the 1931 and 1932 Grand Challenge Cup races at Royal Henley, being successful in the 1931 eight. For the last Royal Henley, he coached Trinity College, Dublin, for the Ladies’ Challenge Plate, and the crew was defeated in the final by only 3ft. in record time for the race. One thing differs from the information in Dodd’s book and the newspaper article: Dodd has it that only Wilson was Australian, while the article says Gogarty had two Australians in his crew. 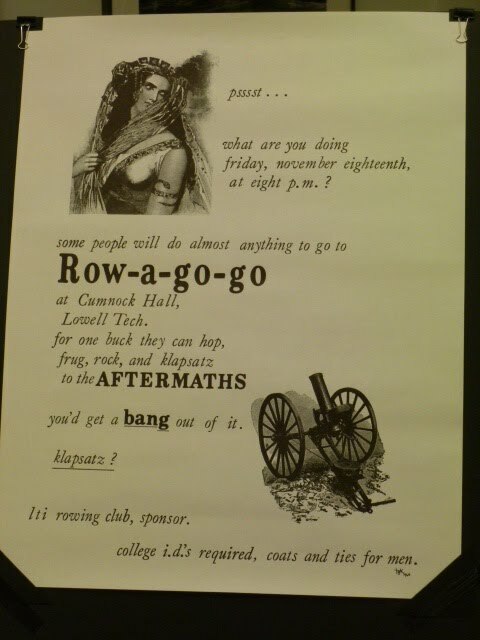 Some questions remains, though, Gogarty’s rowing connections at Pembroke and UCD, and did he write any more rowing poems? And what’s more you’ll be an oar my son. Does anyone know who Dermond* St John Gogarty was and if he wrote any other rowing poetry? Exactly three years ago today, HTBS saw the light of day. 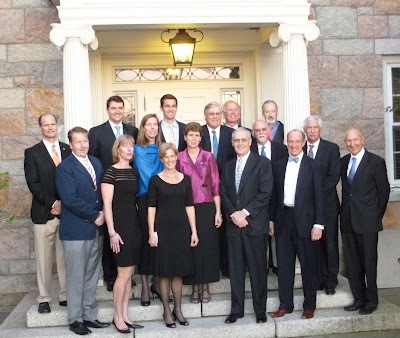 Yesterday evening, on 10 March 2012, the National Rowing Foundation (NRF), the governing body of the National Rowing Hall of Fame, inducted nineteen new members into ‘The Hall’. The following athletes were honoured for their individual accomplishments: Jennifer Dore Terhaar (not present), Jeff Klepacki, Robert Kaehler, Mary McCagg, and Elizabeth McCagg Hills. Three crews were honoured for their results: the 1972 Olympic men’s eight and coach, Michael Livingston, Cleve Livingston, William Hobbs, Eugene "Gene" Clapp, Timothy Mickelson, Peter Raymond, Franklin "Fritz" Hobbs (not present), Lawrence "Monk" Terry, Paul Hoffman, and Coach Harry Parker (pic on the right); the 1992 Olympic women’s pair, Anna Seaton and Stephanie Maxwell-Pierson; and the 2000 Olympic men’s pair, Ted Murphy and Sebastian Bea. 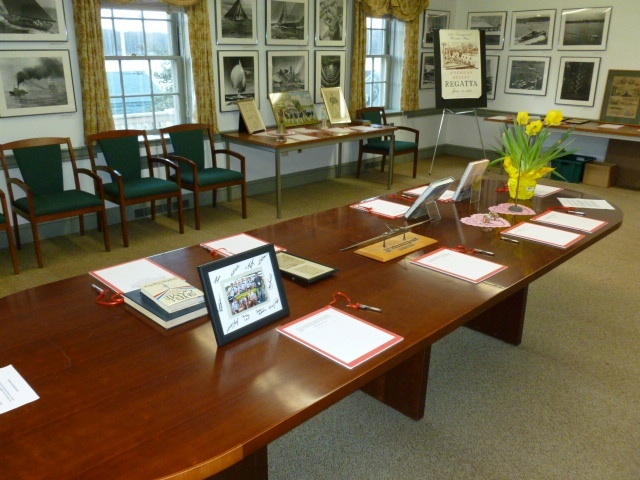 This was the second time in its 56-year existence that the National Rowing Hall of Fame hosted a stand-alone induction ceremony. 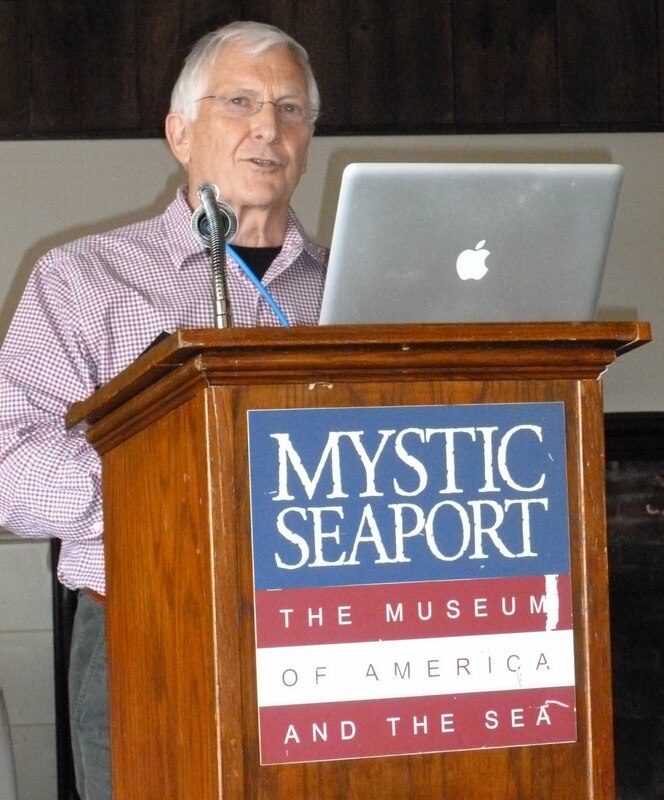 It was held at Latitude 41 Restaurant at Mystic Seaport. The festivities began, however, with a reception party at the Rowing Hall of Fame in the G. W. Blunt White Building where the inductees, their families and friends, together with invited guests, quickly came into a good celebration mood. Many of the U.S. rowing community were present, including some members of the Rowing Hall of Fame. Before the banquet with the induction ceremony started, the inductees nicely lined up for photo shoots in front of gentlemen of the press and family members with cameras. 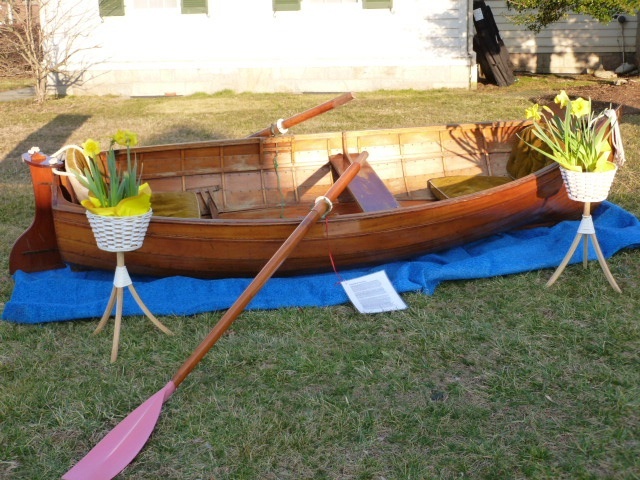 The rowers were placed by Hart Perry’s old dinghy, which the previous evening had been up for auction. This celebration of the rowers was the brainchild of Hart’s and his absents was deeply felt by all, although his spirit will live on as long as there are rowers to be inducted into the “Hall”. Jeff Klepacki and Robert Kaehler. Twins Elizabeth McCagg Hills and Mary McCagg. The 2000 Olympic men’s pair, Ted Murphy and Sebastian Bea. The 1992 Olympic womens’ pair, Stephanie Maxwell-Pierson and Anna Seaton. 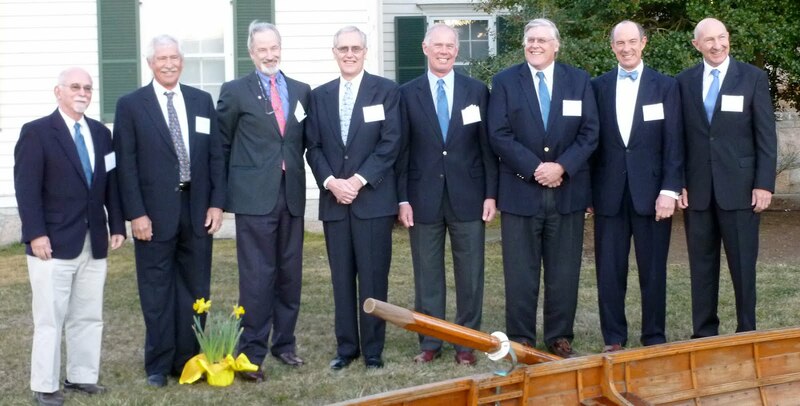 The 1972 Olympic men’s eight, from right to left (in the positions they rowed), Michael Livingston, Cleve Livingston, William Hobbs, Gene Clapp, Timothy Mickelson, Peter Raymond, Monk Terry, and Paul Hoffman. 7-seated Fritz Hobbs and Coach Harry Parker not present at the photo shoot. 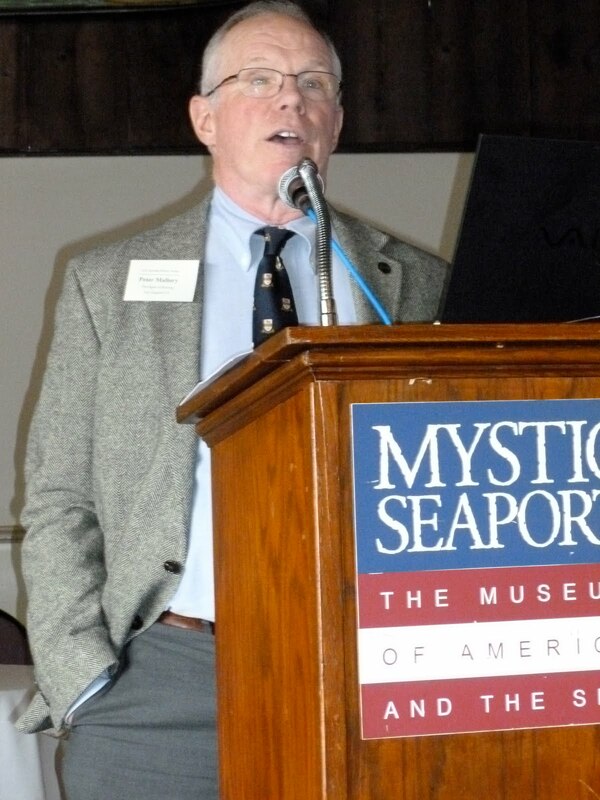 More than fifty people came for the 6th Rowing History Forum at Mystic Seaport. After Friday’s triumphant fund-raising event in memory of Hart Perry which brought in around $15,000, Saturday started with the 6th Rowing History Forum in the River Room at Latitude Restaurant and Tavern by Mystic Seaport. As usual, organiser Bill Miller, well-known rowing historian of Friends of Rowing History, had done a tremendous job getting some interesting speakers for this almost full-day event. 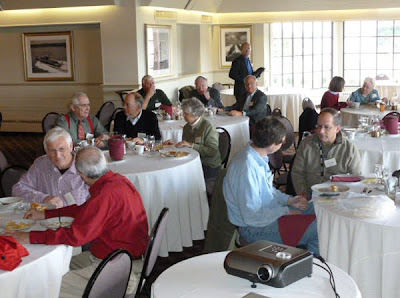 Slightly more than fifty people showed up to listen to stories and histories by Miller, Tom Weil, Peter Raymond, Chris Dodd, Jim Dietz, and Peter Mallory. Tom Weil (above) gave an entertaining talk called ‘Cheers & Jeers, A Prospective on Women and Rowing 1850-1900’, the same lecture he presented at last year’s Rowing Forum in Henley-on-Thames which was reported by Tim Koch. Weil never disappoints his audience whatever rowing subject he is speaking on and here he used some interesting prints and images to help show us the pros and cons by which men had viewed women’s early rowing. 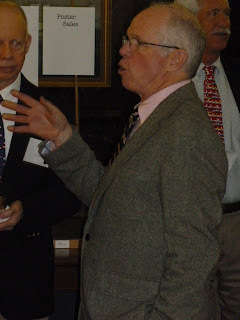 Then came Peter Raymond (above), Olympic rower in 1968 (Four with) and 1972 (Eight), who was to be inducted in the Rowing Hall of Fame later in the evening, together with his fellow oarsmen in the Princeton eight. 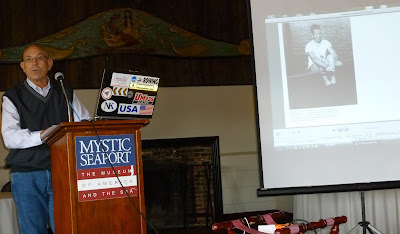 Raymond proved to be a witty gentleman, and his ‘The Transition to Ratzeburg Training & U.S. National Camp System’ told the story about Karl Adam of West-Germany and how his special rowing style and his new interval training changed the lives of the young oarsmen of Princeton. After being introduced to Adam’s style, the Americans soon gave up the old Conibear style for the winning one used by the West-Germans. Jim Dietz spoke fondly about his old coach Jack Sulger. 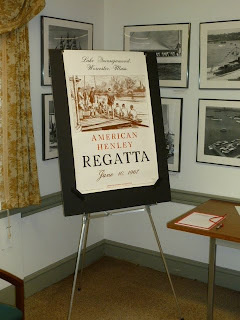 After lunch, Olympic sculler and college coach Jim Dietz, who was inducted in the ‘Hall’ in 2010, literally dashed in through the doors to give a whimsical, hilariously funny talk about his club, ‘New York Athletic Club’, or so it said in the programme. 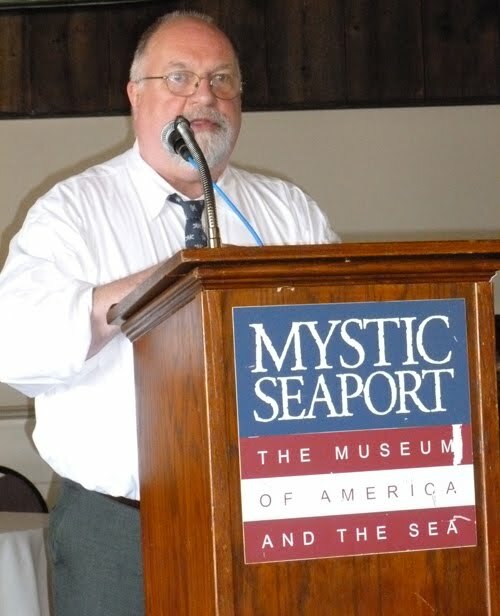 Instead, his presentation soon slid in to a tribute to one man, Jack Sulger, an Irish New York policeman, who was a six-time national champion oarsman, and Dietz’s rowing coach at New York A.C. Sulger carried his service revolver at all times, it seems, and at least once he used it to keep law and order when a fancy fast boat with a water-skier came too close to the ‘kids’’ race course. Last but not least, Peter Mallory (above), rowing historian and author of the 2,500-page The Sport of Rowing, spoke about one of the most important rowing coaches during the 1900s, Steve Fairbairn in ‘Steve Fairbairn, the Man, the Athlete & the Coach’. 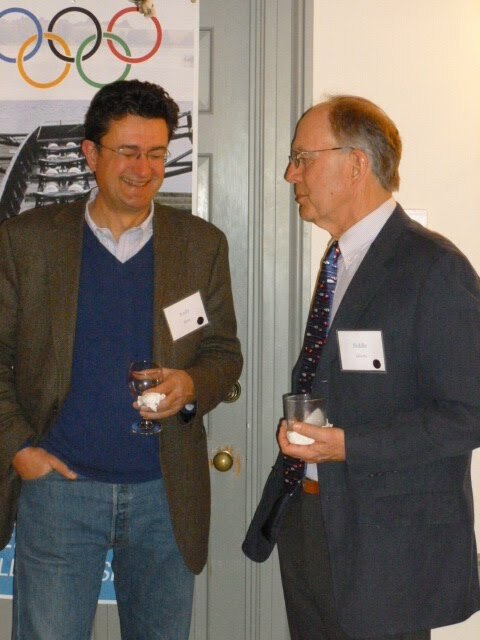 Although, Fairbairn seems to be forgotten, or maybe even not known, by many coaches and rowers these days, some influential coaches still frequently read Fairbairn’s books for inspiration. Mallory proved to be a real Fairbairn fan. Next Rowing History Forum will be in October 2013 at the River & Rowing Museum! 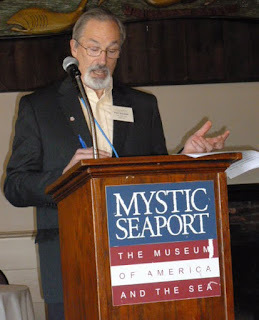 Yesterday was a lovely evening at the Rowing Hall of Fame at Mystic Seaport, Mystic, Connecticut. 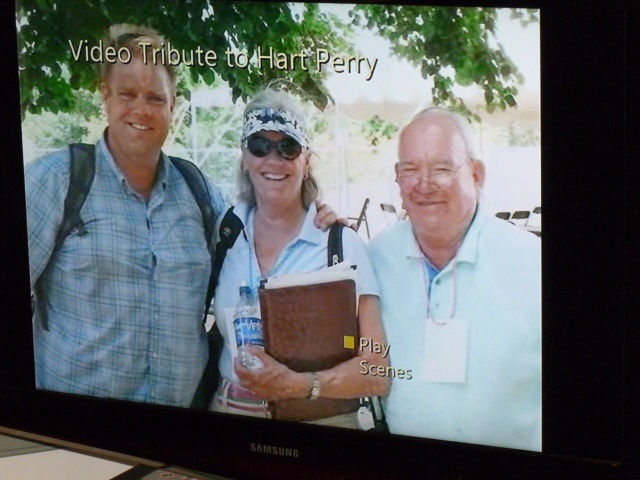 Around 75 people had gathered to celebrate the memory of dear Hart Perry, who passed away on 3 February, 2011. 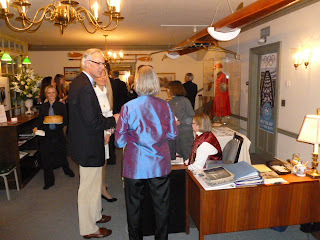 It was not only a tribute to Hart, but also a fund-raising party and silent auction in his name for rowing history, the National Rowing Hall of Fame, and rowing exhibits. Many of the items had belonged to Hart, but there were also some rare posters by artist Thomas Kudzma, who created brilliant art work between the 1960s and the 1980s. While I am writing this I am not sure how much the silent auction brought in, but it seemed most of the rowing objects that were up for auction had bids, and I walked home with a beautiful print under my arm. 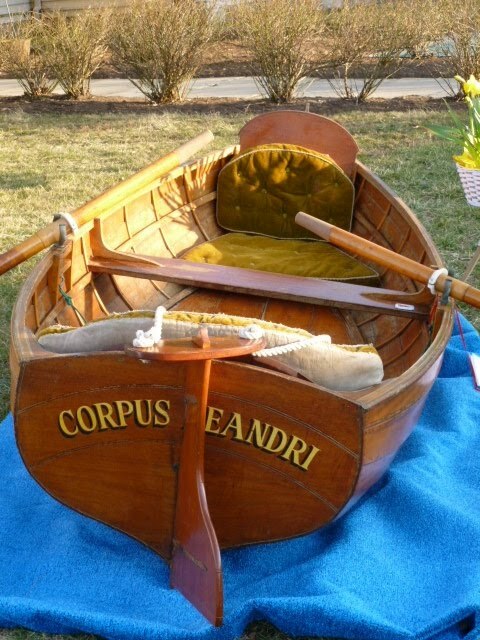 While all the bids for the objects closed at 8 p.m., the bids for Hart's old dinghy run until 6 p.m. on Saturday.